DEXTER TORTORIELLO has released his first album under the pseudonym DAWN GOLDEN and it is called STILL LIFE. 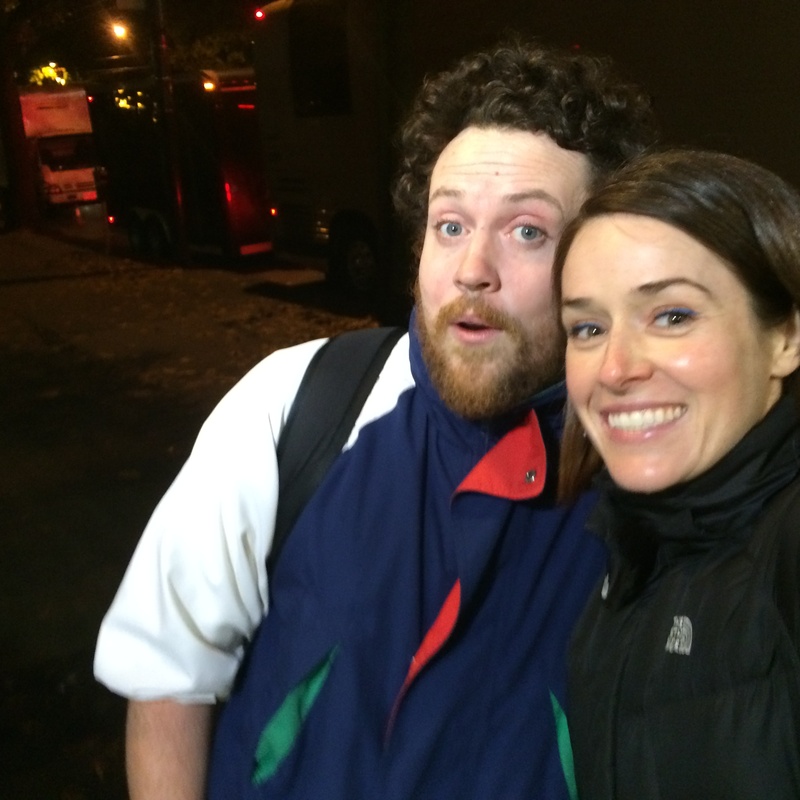 I had never heard of Dexter or Dawn Golden prior to seeing him open for METRONOMY at the Imperial on October 26th, 2014, but I am now a fan. 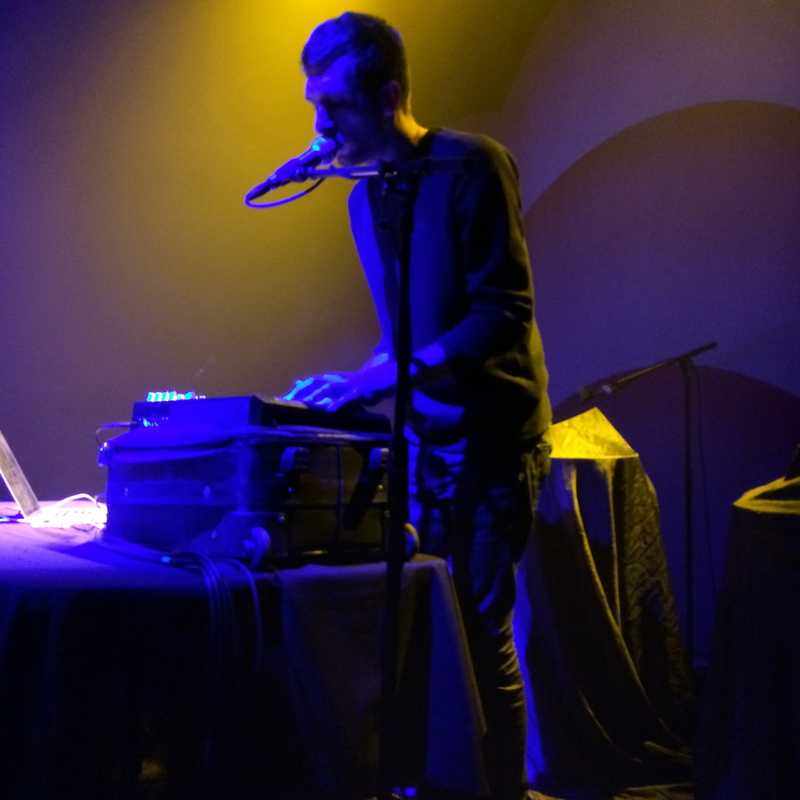 He seemed to grab the entire audience’s attention by pouring out his emotions via his big voice, and by playing electronic sounds in a way that filled the room with his heartbreak, pop culture influences, and surprisingly danceable dark music. Dexter Tortoriello and I: fan friendly at the Imperial in Vancouver. I asked Dexter if he had any experience feeling like an outsider. “Dawn Golden” explained that he has felt this way for most of his life. When I asked him what music helped him through it, he said that the song US ONES IN BETWEEN by SUNSET RUBDOWN has inspired him the most during painful times. After his set, Tortoriello sat selling his own records. I observed him have a genuine conversation with the three fans in front of me, which impressed me. Some artists seem to think it is cool to be arrogant. I do not feel this way, and Dexter doesn’t seem to either. I appreciated his open demeanour. DAWN GOLDEN (this is the name he used to introduce himself to the audience) suggested new fans begin with ALL I WANT from STILL LIFE. I WON’T BEND is my DAWN GOLDEN favourite so far. DAWN GOLDEN vulnerable and impactful. Tortoriello’s best-known musical project so far has been as half of the duo HOUSES. 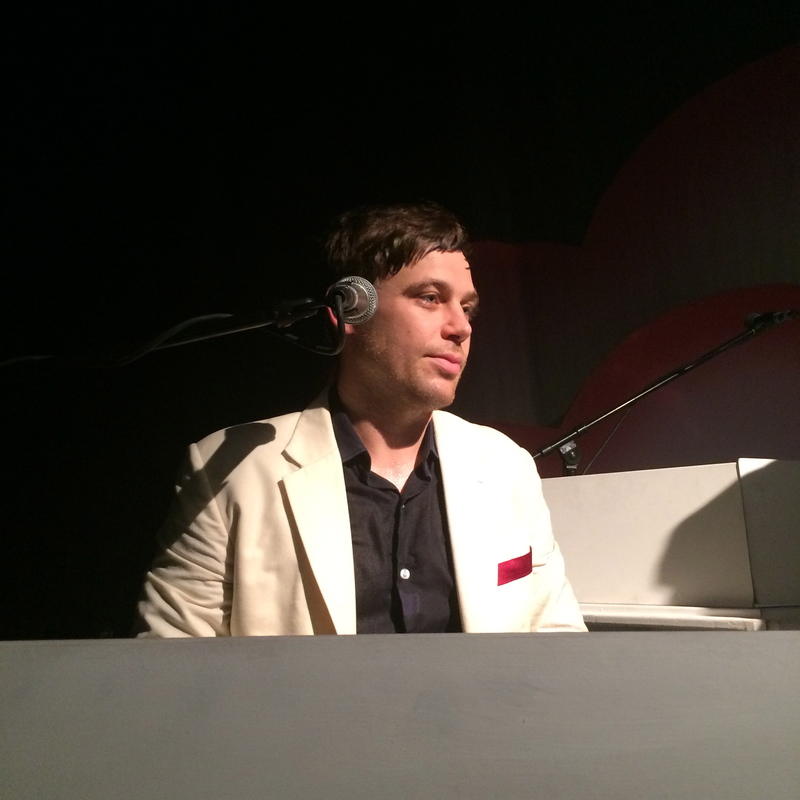 With his band member (and girlfriend) MEGAN MESSINA, HOUSES released 2 albums: ALL NIGHT in 2010, and A QUIET DARKNESS in 2013. 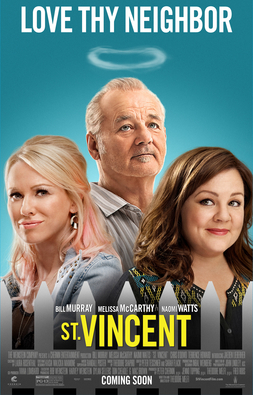 I had no idea about the plot line of ST. VINCENT prior to seeing it in the theatre last week, but the cast (and “buzz” about the film) sold me: BILL MURRAY, MELISSA MCCARTHY, NAOMI WATTS, JAEDEN LIEBERHER, CHRIS O’DOWD, and TERRENCE HOWARD. Writer/director THEODORE MELFI‘s movie is touching, funny, and it wasn’t too long (which means a lot in my books). It is about what transpires when a young boy and his mom move next door to a grumpy old man (who has a heart of gold). The plot line is not ridiculously original, but I think everyone can relate to the desire to love again before all hope is lost, and experiencing companionship with the least likely of people. I recommend seeing it! 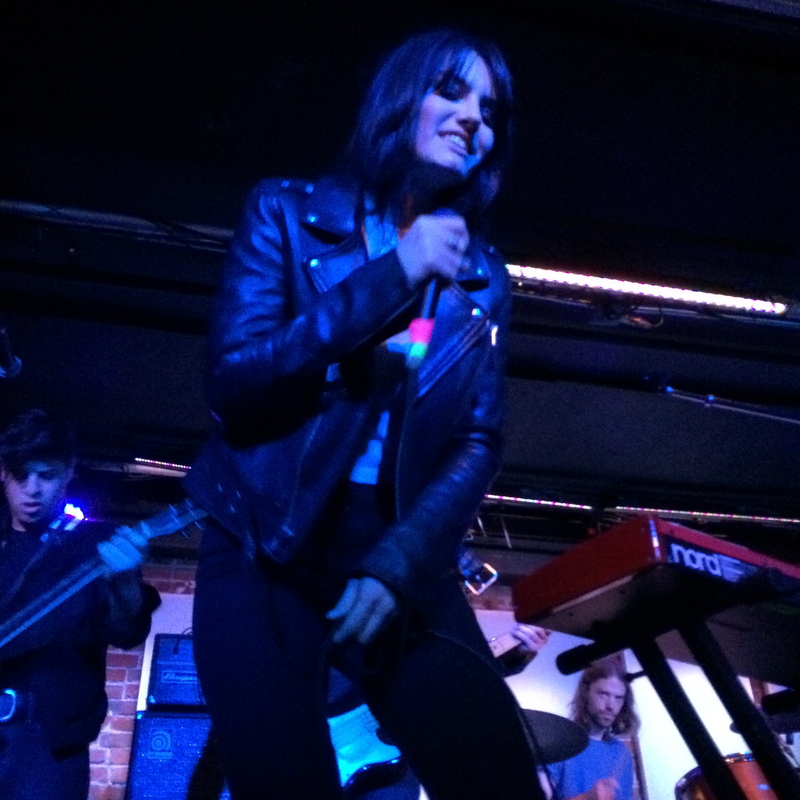 THE PREATURES rule! This quintet originates from Sydney, Australia and they first formed in 2010. They are undoubtedly a full-fledged rock band. While I’m not the biggest rock fan in general, I’m a fan of this band because they write catchy, melodic songs that make me wanna jump around! Also lead singer ISABELLA MANFREDI‘s voice can show vulnerability and incredible power from one note to the next. 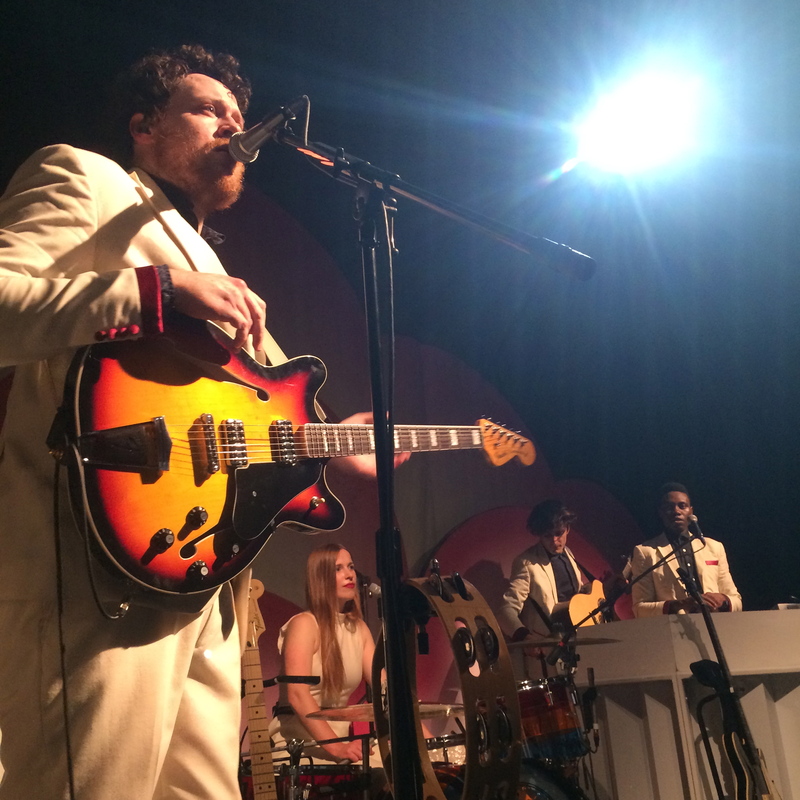 I saw the band perform live at Electric Owl on Main Street in Vancouver tonight (October 22nd, 2014). They are confident (as they should be) live performers. This is their first time playing in Vancouver, but I bet they’ll be back soon after the impression they made tonight. I spoke them about their first full-length album BLUE PLANET EYES, which was released this year. Their first EP was released in 2012 and is called SHAKING HANDS. Their second EP came out in 2013: IS THIS HOW YOU FEEL? 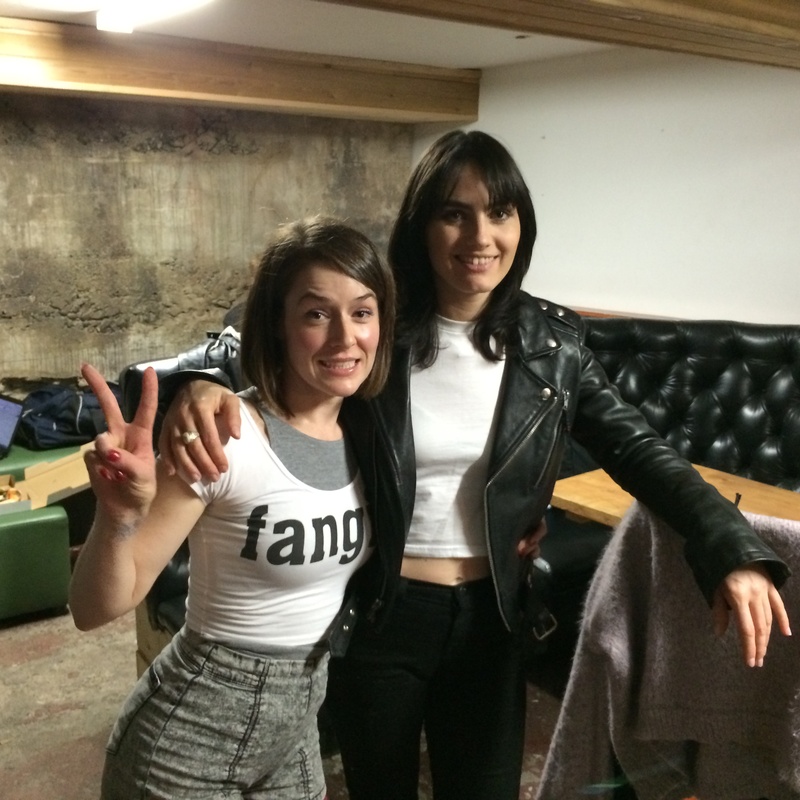 Me (Christina Travis) and ISABELLA MANFREDI (I think she is like a raven-haired DEBBIE HARRY). So beautiful…and down-to-earth! ISABELLA MANFREDI and THOMAS CHAMPION spoke in-depth about how they were bullied at school. Manfredi and Champion thoughtfully discuss how young people who are being bullied today can make it through the pain and torment that bullying creates.They also talk about their favourite thing about Vancouver so far: FOOD! MANFREDI recommends musicians DESTINY’S CHILD, BOB DYLAN, THE STONE ROSES, WEEN, CAKE, and BRANDY as being a few examples of music that helped her deal with her schoolmates being cruel to her at school. The tracks I gravitate towards the most from BLUE PLANET EYES are BLUE PLANET EYES, SOMEBODY’S TALKING, and IS THIS HOW YOU FEEL? (though I embarrassingly called it “Is That How You Feel?” during the interview–I was very nervous!). The band graciously overlooked my error and simply corrected it themselves when they said the title of the song. 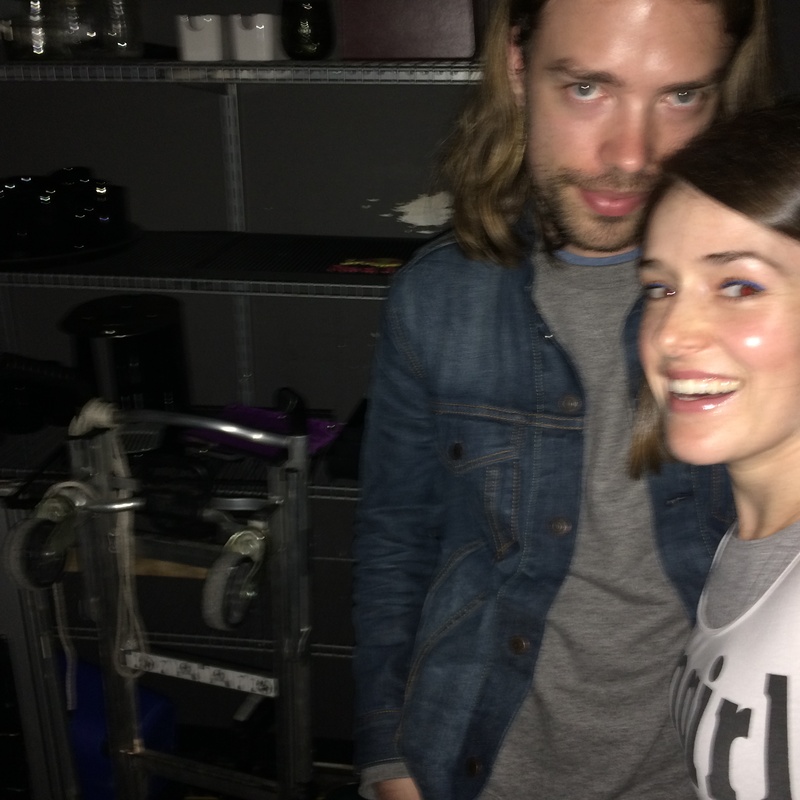 I managed to snag a picture with drummer LUKE DAVISON since he missed out on the group shot. Another song of theirs that I think is awesome is called BETTER THAN IT EVER COULD BE. It was released as a single and is not on their album or EPs. THE PREATURES are signed to Mercury Records Australia. ISABELLA MANFREDI won the prestigious Vanda and Young Songwriting Competition (the band writes together, but the award can only go to one individual) in 2013. The prize money was $50,000 and the win was for the song IS THIS HOW YOU FEEL? 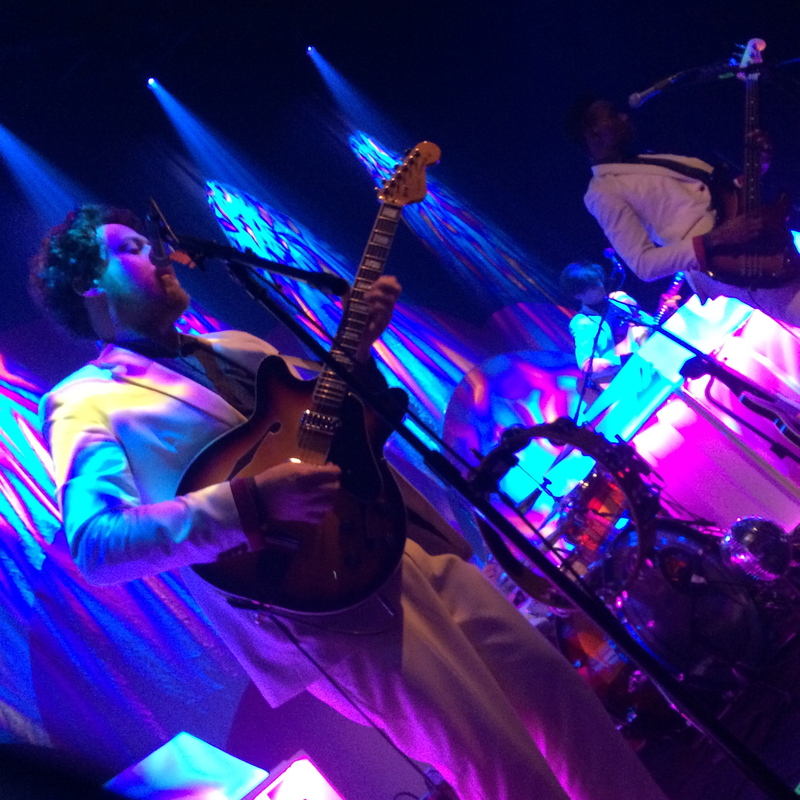 The band used the money to pursue international release opportunities. Some other entertaining quotes that MANFREDI gave during the interview are: “Revenge is a good motivator”(so true…the only satisfying revenge is when you work hard so that your life is where you want it to be, and you don’t give a crap about those who ignored you or put you down). Success is the best revenge! When she said “Don’t read fashion magazines!” I thought that was pretty smart as well (Vogue screwed with my head as a child). 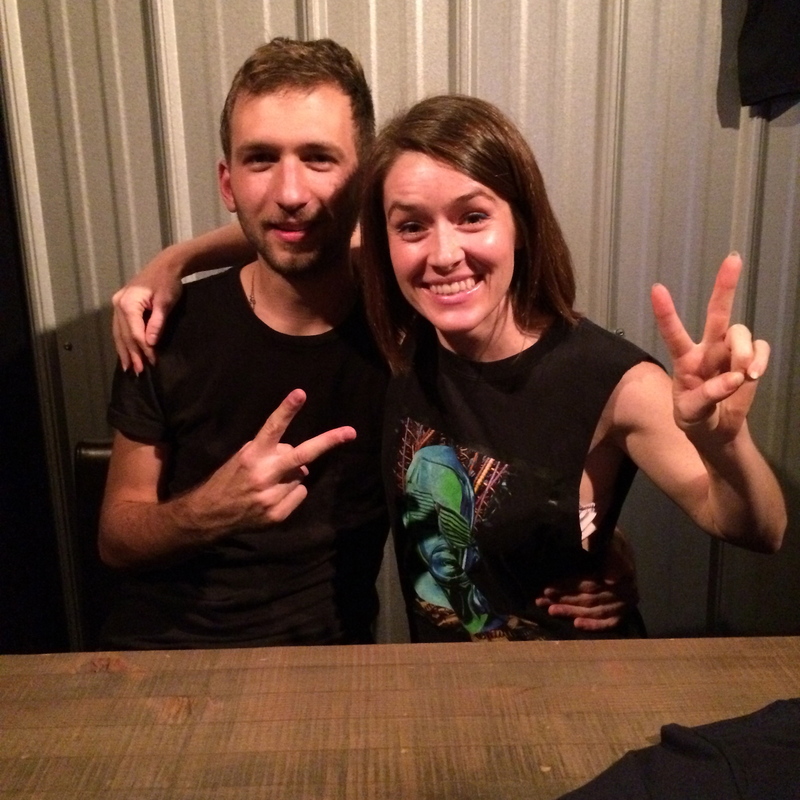 Frontwoman Isabella Manfredi on October 22nd, 2014. Their live performance was tight! The band clearly has lots of fun performing together and their rapport was contagious, as the crowd was really into the music. 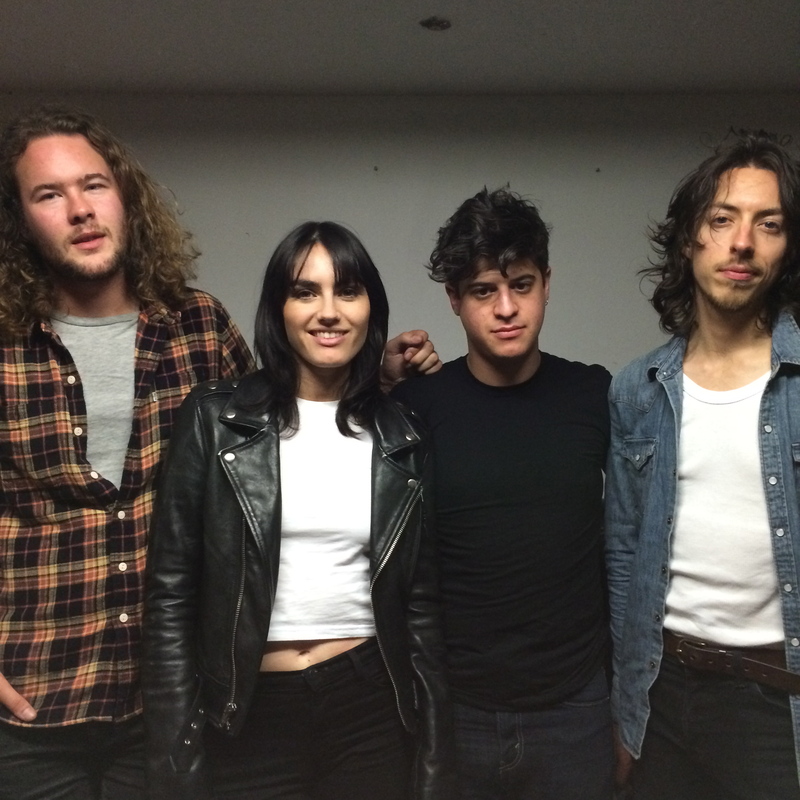 Thanks to THE PREATURES for the wonderful interview and live show! 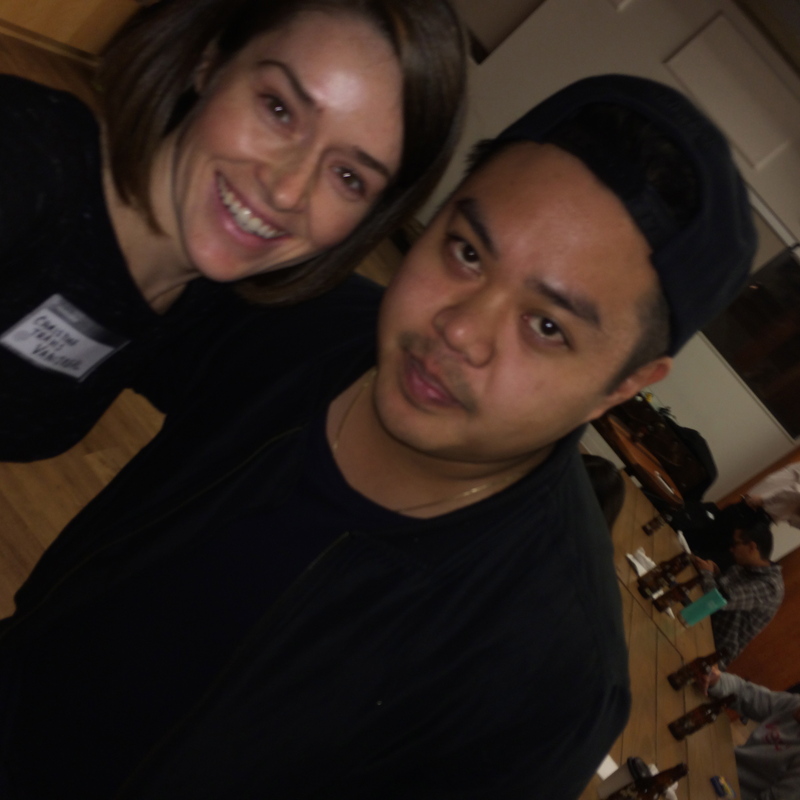 Forgot to get a pic of RICO UNO and I when I interviewed him…but ran into him at #FortuneHootUp event Oct.20/14. If you live in Vancouver and you’ve even been to the BILTMORE CABARET or REPUBLIC, or any other number of bars and clubs, you’ve likely had the pleasure of getting to dance to RICO UNO‘s amazing work as a DJ. I had the privilege of asking him a few questions about his life, his passion for rap, his favourite up-and-coming rapper (YOUNG THUG), and where he wants to take his career in the future (rap producer). If you are a fan of rap and fun, inspiring music with a dark (a.k.a realistic in my world) edge go to SOUNDCLOUD.com/DEFRESHEST (link) or SOUNDCLOUD.com/REUPTRIPPYSHIT (link) to download some of his mixes for free. I’ve also just typed in RICO UNO on soundcloud and I’ve found his music that way as well. I recently realized how much I love KIRSTEN DUNST. She’s born in 1982, and I’m born in 1984, so I’ve been a fan of her since I was a kid and I watched her in LITTLE WOMEN and INTERVIEW WITH THE VAMPIRE. Since she flies under-the-radar most of the times I forgot, until recently, that she is an amazing actress. She chooses really interesting projects to work on. Even though she is perfect-looking in my opinion, I can’t hate on her, because she portrays people with genuine flaws and is relatable. Check out: BACHELORETTE, MELACHOLIA, and HOW TO LOSE FRIENDS AND ALIENATE PEOPLE. I talk about other films of hers that I’ve loved as well in these videos, so if you’re not yet a fan of KIRSTEN DUNST please watch. Or if you want to reignite the love you already have for her, my suggestions may help!